If you’ve got old or foreign coins, Al is the guy you want to go see. His store, Provincial Coin & Stamp, also has stamps but coins are his *thing*. 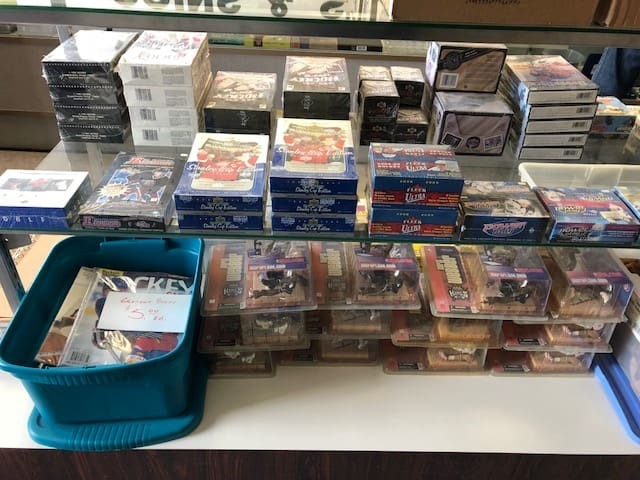 His store, which has been around for nearly 40 years, also has sports cards, but they’re not his money-maker. Coins are. I payed Al a visit this week at his small, south-facing shop on Portage Avenue. The sun shines in through the windowed store front, warming up the cozy store. You hardly notice the sound of the traffic humming along outside. Provincial Coin opened in the late 1970s under the name “Provincial Philatelics & Numismatics”. The word “philately” refers to the study of stamps and postal history. So then you could correctly guess that “numismatics” refers to the study and collection of currency. 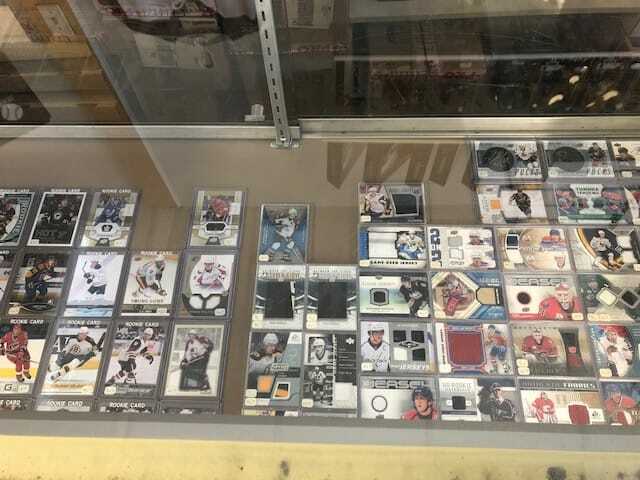 Sports cards are a collectible item too. Provincial started out as a coin and stamp shop, and coins and stamps have always been Al’s primary focus. How exactly sports cards snuck in through his front door in the late 1980s, I’m not too sure. Maybe because cards are a collectible just like coins and stamps. However, cards aren’t everyone’s cup of tea. 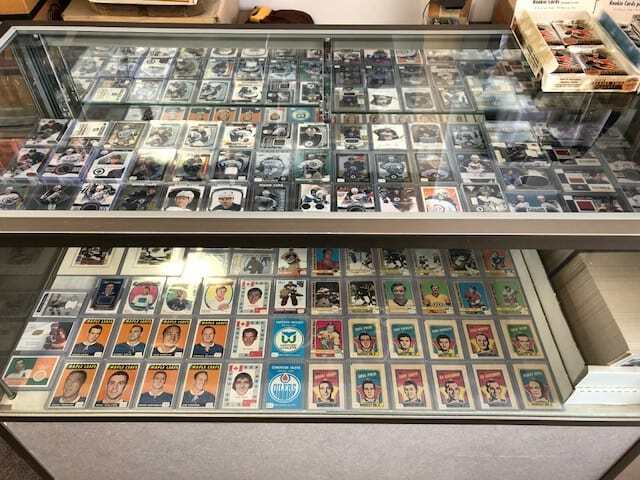 Although Al has a decent collection of hockey, baseball, and football cards, he’d rather deal with coins. When I asked him why, he explained to me that there wasn’t a lot of money to be made in sports cards. 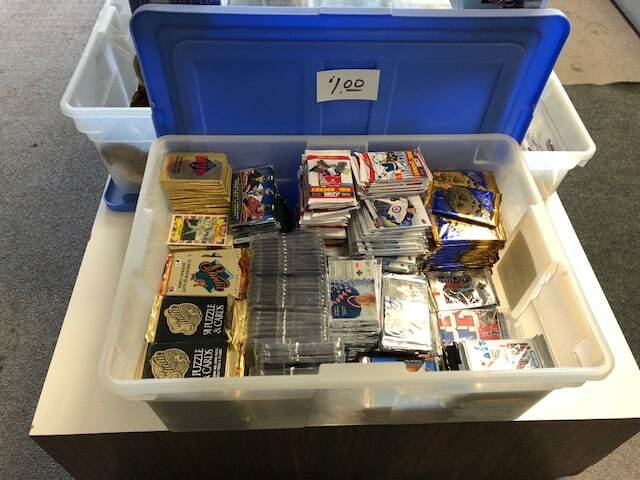 The 1990s saw sports cards produced in mass quantities. Al told me that nearly every store in Winnipeg carried packs of cards. Gas stations, drug stores, and every corner shop carried card packs. Many card shops popped up in the late 1980s and early 1990s and many of them no longer exist. 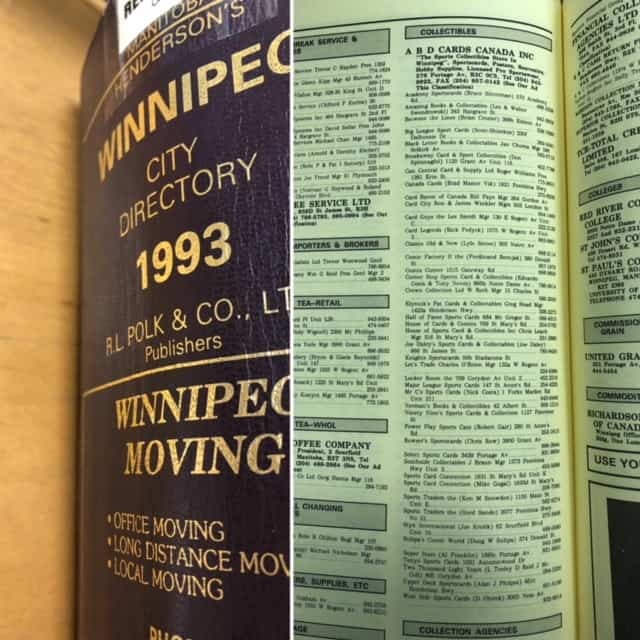 Check out this list of Winnipeg sports card stores in 1993. Everyone had cards during that time and card values plummeted. 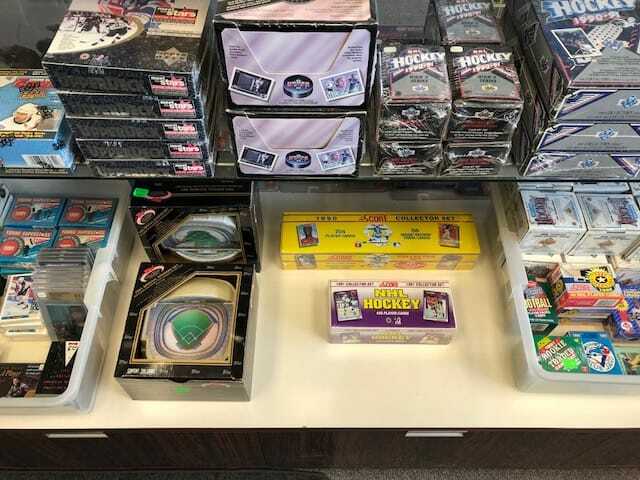 If you’ve ever brought a collection of cards from that era into a card shop hoping to get a huge pay off, this is exactly why you might end up walking away disappointed. And you’d probably leave with those same cards in your hands. No one wants 1990s cards. Because everyone has them. Al pointed out that he carries a Dale Hawerchuk rookie card with the price tag of $30. True, Hawerchuk may be an underrated player to the rest of the world, but in Winnipeg, we still appreciate his greatness. But there are just THAT MANY Hawerchuk rookie cards. As far as the price guide goes, the go-to information on card pricing, they’re nothing special, valued at only $20. Compare that to the harder-to-find Sidney Crosby Young Guns rookie card which will go for $850 or more. There was a time when Al at Provincial embraced the card collecting hobby a little closer. If the cards themselves that take up the east side of his store and a lot of his back room don’t give that away, talking to his casual employee will. If there was no cut and dry winner, they agreed to call it a draw and each took their cards home with them. There were a few big pulls and it always seemed that the person who cared least about winning would get the best cards. Isn’t that how it usually works? 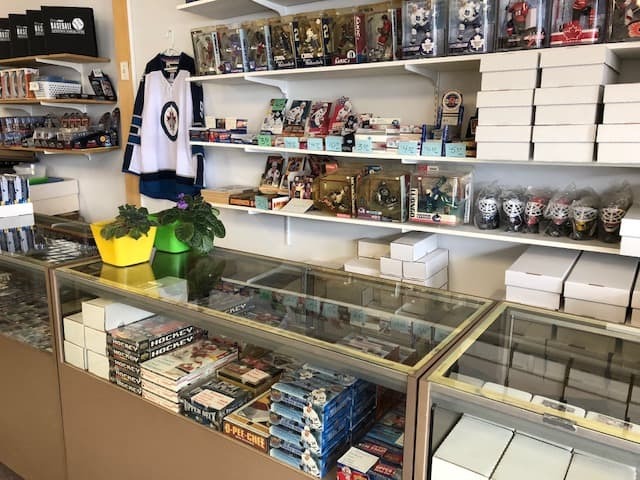 So even though Al doesn’t necessarily want me to tell you to rush into his store and buy his sports card sets and new Upper Deck and OPC packs, the jersey cards and autograph cards and rookie cards and MacFarlane figures and card collecting supplies, I have a feeling that you might be able to find something interesting at Provincial Coin & Stamp. The store is very well organized and nicely displayed. There are bargain bins with $1 – $5 products and boxes of affordable inserts. He’s got older cards, and 1990s cards, and brand new cards. Even though the 1990s might have destroyed Al’s faith in the card collecting hobby, he still carries current Winnipeg Jets cards. Go down and see what he has. And although he has something of everything, you’d make him really happy by bringing in your coin collection. 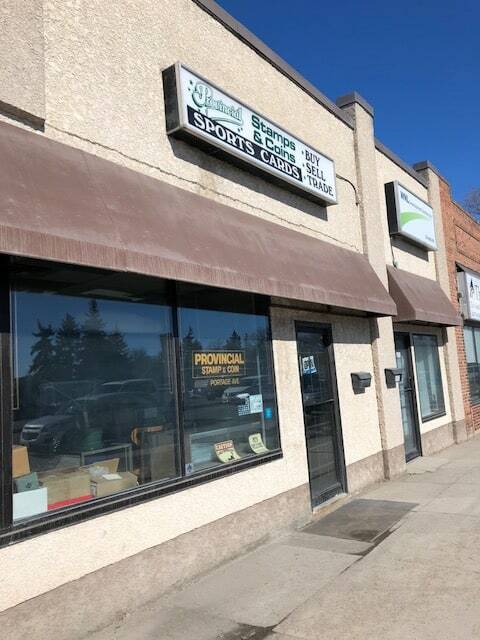 Provincial Coin & Stamp is located at 2065 Portage Avenue, near Sargent Sundae. They’re open Monday to Saturday, from 11 am – 6 pm.